"Summer 1553: A time of danger and deceit. Brendan Prescott, an orphan, is reared in the household of the powerful Dudley family. Brought to court, he finds himself sent on an illicit mission to the King's brilliant but enigmatic sister, Princess Elizabeth. But Brendan is soon compelled to work as a double agent by Elizabeth's protector, William Cecil--who promises in exchange to help him unravel the secret of his own mysterious past. A dark plot swirls around Elizabeth's quest to unravel the truth about the ominous disappearance of her seriously ill brother, King Edward VI. With Elizabeth's lady-in-waiting at his side, Brendan plunges into a ruthless gambit of half-truths, lies, and murder. Filled with the intrigue and pageantry of Tudor England, THE TUDOR SECRET is the first book in the Elizabeth I Spymaster series." "A grand-scale historical novel from the national bestselling author ofMistress Shakespeare. 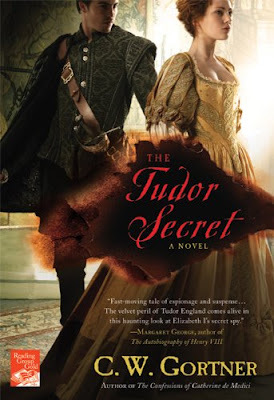 Born into a first family of Ireland, with royal ties on both sides, Elizabeth Fitzgerald-known as Gera-finds her world overturned when Henry VIII imprisons her father, the Earl of Kildare, and brutally destroys her family. Torn from the home she loves, her remaining family scattered, Gera dares not deny the refuge offered her in England's glittering royal court. There she must navigate ever-shifting alliances even as she nurtures her secret desire for revenge. From County Kildare's lush green fields to London's rough-and-tumble streets and the royal court's luxurious pageantry, The Irish Princess follows the journey of a daring woman whose will cannot be tamed, and who won't be satisfied until she restores her family to its rightful place in Ireland." "From the award-winning author of The King's Daughter comes a story of love and defiance during the War of the Roses. But rather than assuming the throne, Catherine would soon be prisoner of King Henry VII, and her beloved husband would be stamped as an imposter. With Richard facing execution for treason, Catherine, alone in the glittering but deadly Tudor Court, must find the courage to spurn a cruel monarch, shape her own destiny, and win the admiration of a nation."